I have the same problem as Benny. I pulled the motor from the pump housing and can spin the it both ways. When I hit the power it just buzzes. This set up is about 10 years old. It was running fine yesterday with no abnormal noises. This is all I need since I am getting ready for my daughters grad party next saturday! With everything else I need to do the pool wasn’t on the list to fix!! Should I just go get a new motor and be done? 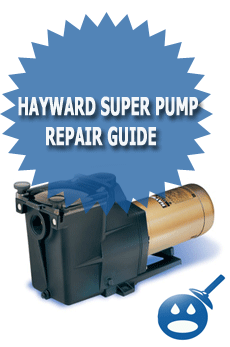 I have a hayward super pump dual speed SP2610X152S. It was making loud grinding noise and felt extremely hot then stopped working. Do I need to replace the entire pump? Any suggestions for repair? My pump is just hummilng and not pumping any water through the system. What can cause this, and how to fix it. Either the starting capacitor is no good, the pump impeller is jammed or the ball bearings need to be replaced. To check is the impeller is jammed, disconnect the motor from the pump by removing the four 9/16″ bolts. Pull off the diffuser plate and see if you can turn the impeller easily by hand. If you can, replace the capacitor. If you can’t the and you don’t find anything stopping the impeller from turning, replace the ball bearings. My pump is set up on a timer, when the pump turns on it just buzzes and times out, then tries again. I felt the motor and it’s getting pretty hot(with out running). Eventually it starts and pumps. Your thoughts? From what you are describing it sounds like the capacitor has gone bad, you will need to replace that. Let me know if you have any more questions, or need additional help. I think my motor has that problem, it has occassional come on it’s own and it has a problem with tripping the breaker every time I turn it on for the first minute. Where does one get this capacitor, do you have any pictures of what capacitor I should replace? Just to add to this reply, be sure to unplug the pump before changing the capacitor. If you don’t, the pump may start if the timer activates the circuit and you could catch your fingers in the centrifugal switch. Also, even if you turn the switch off to the pump and don’t unplug it, almost always the ground fault breaker will trip off while changing the capacitor. I have an air leak or something. On the deep drain port the pump fills fine. On the full skimmer port the pump basket/reservoir will not fill completely with water yet there is water flow, but not enough. Water is well over the skimmer basket (ie the pool level is high enough). I disassembled the Port I/Port II valve assembly and that is fine. What else can I do? You may have have a broken skimmer line, a weir that is not opening properly or my be is a clogged skmmer line. If you still have the problem with this you can contact me and I can explain how to unclog the line. To avoid clogs, always use a Skim-Vac placed inside the skimmer and over the skimmer basket when vacuuming your pool. My Hayward II pupmp is about 8 years old. I just noted it did not come on ( set on an interval timer). When I set my system to turn it on ( manual over ride at the pump), all it does is click. No sound, no nothing. Breaker ok etc. Where do I start? Do my pool maint myself; ideally c an do this myself. Thx for anyone who is able to reply. I would start by taking the end cover of the motor off and check the cord wires going into the pump. 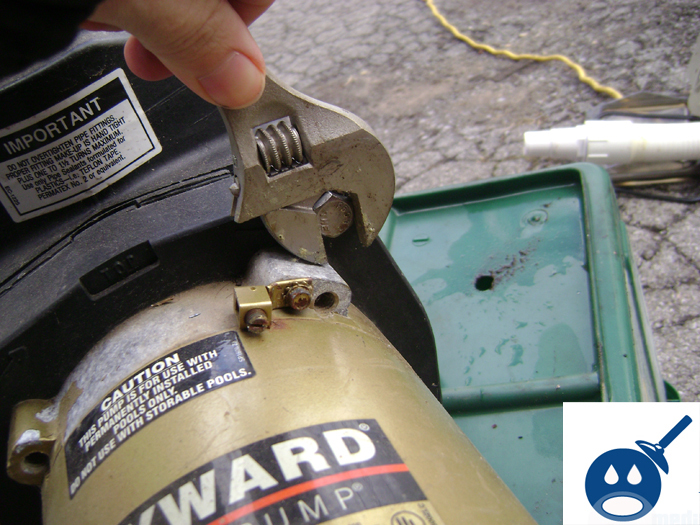 Make sure they are not burned off, broken or separated from the contact points of the pump. If everything looks good, use a volt meter and check for the proper voltage the those two leads. This sounds like a two-speed pump. The two speed pumps run on 230 volts. (it would have two hot wires attached to the motor) Using a voltmeter, check to make sure you have between 115 and 120 volts on each of the two power leads if you put your probes of your voltmeter between the hot wires and ground. You should also have between 220 and 240 volts between the two hot leads. We just had our old pump replaced with the Hayward Super Pump. The old one was quiet and this Hayward Super Pump is very loud that you can hear it in the house. Is this normal??? I have taken brand new pumps out of the box that had bad bearings or had the steel slinger that was rubbing on the shaft. 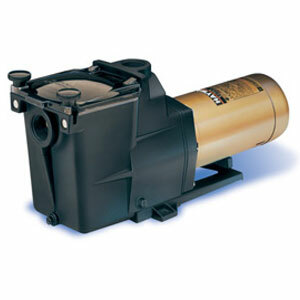 Hayward Superpumps are pretty quiet especially the new 2speed pumps when run on low speed. At a distance of about 10 feet, you probably wouldn’t hear it running. If you can hear the new pump running at a distance of about 50 feet from the pump, return it and get a replacement. If the pump shaft turns easily, change the capactor. (A 12 year old pump will have points similar to the older cars that need to be touching together for the motor to start properly.) After the starting capacitor gets the pump spinning fast enough, the point will open and take the starting capacitor out of the circuit so make sure the points are contacting each other when the pump is turned off. If the capacitor doesn’t do the trick, the pump may have gotten wet inside and needs to be dried out before it will run properly. Sometimes if the motor got wet, I will bring it in on my work bench and run it on an outlet that is not GFI protected for about 5 minutes. That is usually enough to dry it out. I have the same problem as Keith. My superpump is only 2-3 years old, but this year i have had recurring shorting at the breaker and sometimes at the plug. I have troubleshot enough to know that the pump is the culprit and not the other pool equipment on the dedicated line. First years no problems. Just today however, I went to turn on the pump and the breaker tripped after 3 secs. When observing outside as i plug it in, it comes on and makes a loud humming noise but doesn’t move any water at all (nothing else seems to happen). I notice too, that the plug itself has braizing (sp?) on the tips of the plug prongs – sometimes there is a small arc as i plug it in. the cord itself is in good condition and an electrician has been by to test the line itself and finds no shorts. Any ideas? To me, this is definitely pump-related. Hello Drew and many others on this forum. When a superpump motor just hums when it is turned on and then kicks the breaker off, it is almost always the pump impeller is jammed, or the capacitor is bad. 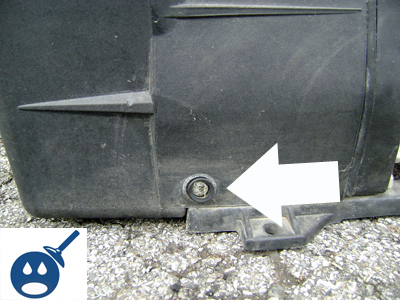 Bad bearings could jam the motor or debris can be lodged in between the the impeller and the diffuser. If you can turn the motor shaft easily, then it is almost always the capacitor. The capacitor can be changed in less than 5 minutes. Before removing the capacitor, unplug the pump or the GFI breaker will trip off even if the pump switch is turn off. Hi, Please let me know if you can help me with my problem? I have a brand new Hayward super pump 1 hp that I am using to replace a 3/4 hp 29 yr old pump. When I turn on the pump it primes until the skimmer basket in the pump is almost full then it starts to stop and start every 2-3 sec and will not stop or fill up. I installed myself, everything looks right (gfi plug used) and my old wiring was L1 white L2 black. Please let meknow if there is something you know about what I have done. Thanks, Adrian. The Superpumps come factory wired for 230 volts. Sounds like you have it wired for 115 volts but didn’t change the factory connector to the 115v setting. If you look inside the motor end cap, you will either have a black connector with two wire going to it that you can pull off the spade terminals and move it so the arrows line up to the correct voltage …or you may have a black switch that looks something like a 1/2 inch nut that needs to be turned to the 115 volt setting if that is what your pump is wired for. Hi I am having a problem withmy super pump it will run about 1-1.5 hour then it will trip the breaker. My Hayward works for the jacuzzi however when I switch the valves for the pool skimmer or vacuum it stops working. I’d be looking for an air leak on the suction pipes going to the pool, probably the skimmer line. I’m looking back through these posts and I thought of another possible cause for this problem. In some states an SVRS (suction vacuum release system) is required to be installed on any pool with a main drain or a side suction fitting. The idea behind the SVRS is that if one of the suction ports is blocked as if someone was stuck over the drain or side port, the suction increases on that line and the SVRS will shut the pump down automatically. If that is the case, the SVRS has to be replumbed if it is turning the pump off, for example, when you are trying to vacuum the pool. This should only be done by a qualified professional that understands how the system works. HI, I am having a problem with my seal leaking. I had repleaced my pump motor about 6 weeks ago and started leaking and got into motor. It was still undre warranty so I rplaced again and replaced all gaskets and seal, also replaced the motor mount bracket and the seal housing. I also replaced the seal again to make sure it was good. This lasted about 3 days and its leaking again. The pool is only 4 years old. I am looking for alittle help on what could be the problem. I have the hayward superpump. If your pump runs dry for even a couple of minutes, the pump seal can be ruined. Also, if you have a lot of sand going through the pump, the sand will ruin the seal surface quickly. This is very common after a concrete patio is poured around a pool and some of the concrete material drops into the pool.